Most smokers lose countless hours during their smoking career to find a satisfying answer to this difficult question. Typically, the answers they come to, are that they smoke because they are not happy, dissatisfied, nervous, bored, anxious, alone, tired or just frustrated without cigarettes. Other reasons often mentioned are that cigarettes keep them thin, help them to wither, or that they are more sociable when they smoke. Some claim that they smoke to celebrate the joyful moments of life. After hearing all these qualities attributed to smoking, I am surprised that more than a billion people on this planet have managed to quit smoking. What's wrong with these former smokers around the world? I can understand people who have never smoked. They have never known or believed all these wonderful benefits deriving from tobacco consumption. What you've never had, do not miss it. But these ex-smokers must be crazy, for stopping such a wonderful chemical addiction. The fact is that ex-smokers are not crazy. On the contrary, it was their ability to be rational that allowed them to successfully break with tobacco. They had the discernment to put themselves in the difficult and painful situation, which one meets at the beginning of the weaning of the nicotine addiction. It is a powerful addiction both physical and psychological, which creates many irrational beliefs that are defense mechanisms to perpetuate smoking behavior. Most of the reasons mentioned above for why smokers pretend to smoke, is one of the behaviors induced by the drug. All former smokers should be applauded for the accomplishment they have achieved, by overcoming the many obstacles created by their addiction. Being in the initial phase of arrest creates a state of emotional insecurity and self-doubt. Will they ever be able to survive in our complicated world without their cigarettes? Once they are totally free from the influence cigarettes have on them, they will be able to have a clear perspective on the number of false conceptions they had about the cigarettes. Benefits they thought they were taking from tobacco. Being released from this drug after years of slavery brings a sense of relief and accomplishment that the smoker had never anticipated. With surprise and pleasure, they discover the wonderful fact that there is a life after smoking. Life is healthier, calmer and more enjoyable. They now have the choice to decide whether they will ever re-emerge. If they look honestly and objectively at the advantages and disadvantages, the logical choice is to stay ex-smoker. Unfortunately, some do not remember the consequences associated with their own smoking cessation, but remember the few good times they thought they had with their cigarettes. They think they might appreciate a few more cigarettes. What must be understood by all former smokers is that they have only two options. They may not smoke anything or return to their old level of smoking. There is no one in between. They waste their time considering how good it would be to be an occasional smoker. They will never be able to afford this luxury. 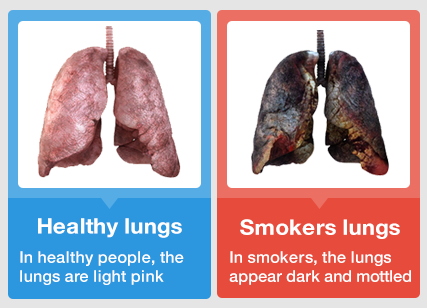 All former smokers should consider both options. Then, if they choose to smoke, all they have to do is take their first cigarette and be trapped again by the nicotine addiction. If they choose to stay free, the only thing they need to practice is to NEVER TAKE ONLY ONE CIGARETTE SHOP!